From the moment they arrived we knew the day was coming. It was all part of the agreement; It was common sense. 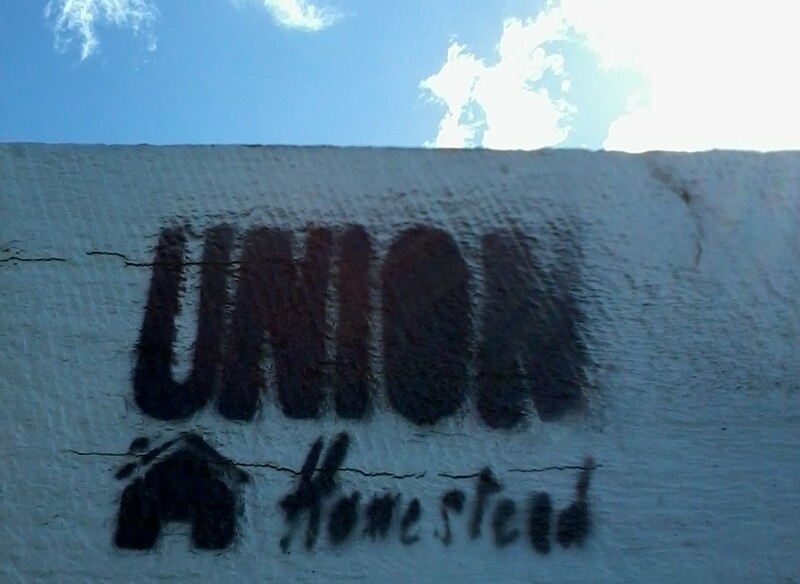 The kids were never intended to be permanent residents of Union Homestead but when that day came…but probably the best way to tell this story is to start at the beginning (which is not really our forte). Goatherding (truly what tending goats is called, how cool is that?!) is a very new pass time here on the Homestead. 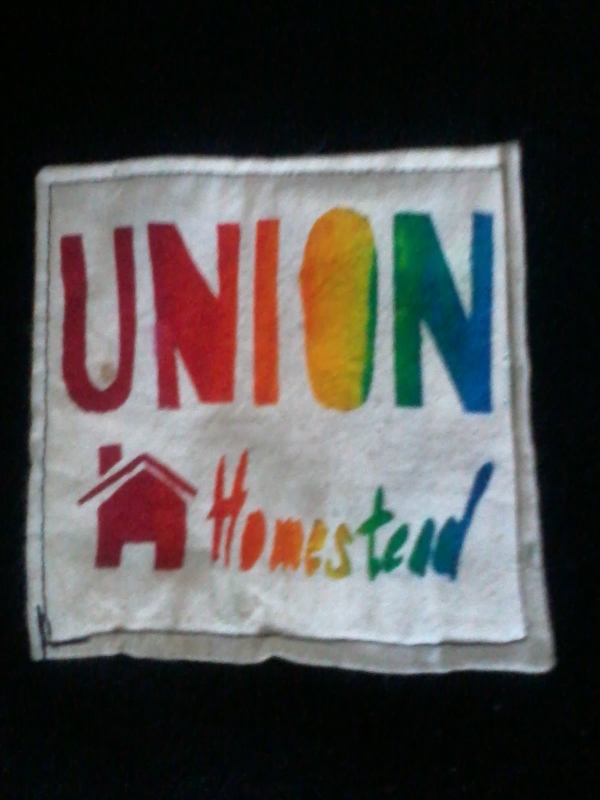 It had long been a dream of ours to cut our Fonterra dependence and a visit to New Brighton by those pioneers of suburban homesteading, the Dervaes family of The Urban Homestead fame (if you haven’t, check them out!) inflamed our, and the entire suburb’s, imagination. But then the ‘quakes came along. Everything changed a little, and we went back to concentrating on collecting the chicken eggs, tending the gardens and getting on with living. All was forgotten, really, until one of our number, The Farmer, started an Animal Care Course at the wonderful Arion Farm Education Park. Goats were to be his responsibility and suddenly all dinner conversation began to centre around them: Poppy and Lady, the angoras, Midnight and co. Word of each day’s goatie antics were eagerly awaited, their misdemeanors and inventiveness sniggered about, but above all, his recommendation was we “really, really, really needed one, PLEASE! Oh, actually two because they are social animals and get lonely.” Then one of us looked over the back fence and saw how long the grass was there, the residents of the flats seemed quite excited by the thought of goats in their backyard, and a letter to the landlord met with a favourable response. Even better, the farm park were willing to let us care for two of their number who were both pregnant, and so our goat adventure began. The first kids born at the farm park this year were to one of “our” goat, Leia. Leia basked in her moment of fame; one of the run-of-the-mill goat flock that never really stood out, she had managed to produce two of the cutest, cuddliest, friendliest goat beings in the history of the goat world and mothering came very easily to her. Heidi and Billy, who we called Will (because Billy was just a little predictable for us), stole everyone’s hearts. Unfortunately, in the way of the world, Nessie didn’t have such luck and her baby was stillborn. So it was Nessie that first took up residence at the Homestead. Fragile and subdued, she tolerated our fumbling attempts at milking and goatherding in general with lacklustre resigned indifference. Her mourning was overpowering. But then little by little she began to spark up and by the time Leia, Heidi and Will arrived a fortnight later she was the undeniable queen of the “paddock”. We became used to encountering neighbours we had never met before at the gate in the fence, usually with clumps of vegetation or, in one case, peeled and julienne’d carrots in hand. For two months the Homestead was a picture of goatie paradise. Well, not really because that’s not how life ever works – well, for us anyway. We had milking dilemmas, bullying upsets, weaning worries, castrating concerns (well, is the ring still there or not? ), but mostly it was great. Especially at about 10 each morning when the Milk Maid and the Goat Herd habitually sit, with freshly ground coffee in hand, surveying the estate: the sunbathing, full bellied goats, the busy, bustling chickens, and the spring crops gently bending and flexing in our prevailing easterly. But those kids were growing (and, just quietly, so was the feed bill), they were treating their poor Mum like a chattel, and there was a little boy at the farm eagerly awaiting Billy-Will’s return. So, Wednesday was the day. Goodbyes were said, last hongis and cuddles were given, Mum and Auntie Nessie encouraged to give the dynamic duo one last nuzzle, and Miss Heidi and Mr Billy-Will (who is now apparently called Luke Skywalker) were loaded with the Farmer into the backseat of the Pulsar for the drive across town to their new life at the Farm Park. We waved goodbye staunchly; it was just hayfever, okay? ‘Melancholy’ best sums up the mood of that first day. We were sent consoling texts by the Farmer with photos showed the two kids happily settled into their new home but that didn’t help Leia who bellowed and sobbed constantly, or stop Nessie wearing a track around the boundary line of the paddock (how could her charges have just disappeared like that?). We humans ached for them. The utter low point for us all was evening milking; Leia with real tears creeping down her furry muzzle, the Milk Maid sobbing with much less decorum. But, like these thing tend to, Thursday was a better day and the milk yield freely given. Friday’s mood could even be classed as ‘content’ with us reaching the dizzy heights of ‘enthusiastic’ (a word surely invented with goat meal times in mind) over the weekend; But things are not as they were. In the past, Nessie would never have allowed another paddock dweller anywhere near HER house, but evidence suggests that there are now two goats sleeping in the classy recycled pellet chalet . There is a fair amount of no-mans-land in between the two goat shaped indents in the bedding, but you can’t expect miracles and it seems the grown ups are working their way to a new normality. This entry was posted in Goats, Union Homestead and tagged Arion Farm Education Park, Goat, Goatherd, Homestead, milking, Urban Homestead, Weaning. Bookmark the permalink. Awwww, getting rid of the goaties is always unspeakably hard. 😦 You have some cute babies!